Sharon Lockhart — Textfield, Inc. 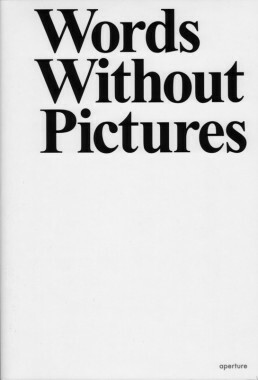 Words Without Pictures was originally conceived by curator Charlotte Cotton and artist Alex Klein as a means of creating spaces for discourse around current issues in photography. Every month for a year, beginning in November 2007, an artist, educator, critic or curator was invited to contribute a short unillustrated essay about an aspect of emerging photography. Each piece was available on the Words Without Pictures website for one month and was accompanied by a discussion forum focused on its specific topic. Over the course of its month-long “life,” each essay received both invited and unsolicited responses from a wide range of interested parties. All of these essays, responses and other provocations are gathered together here. 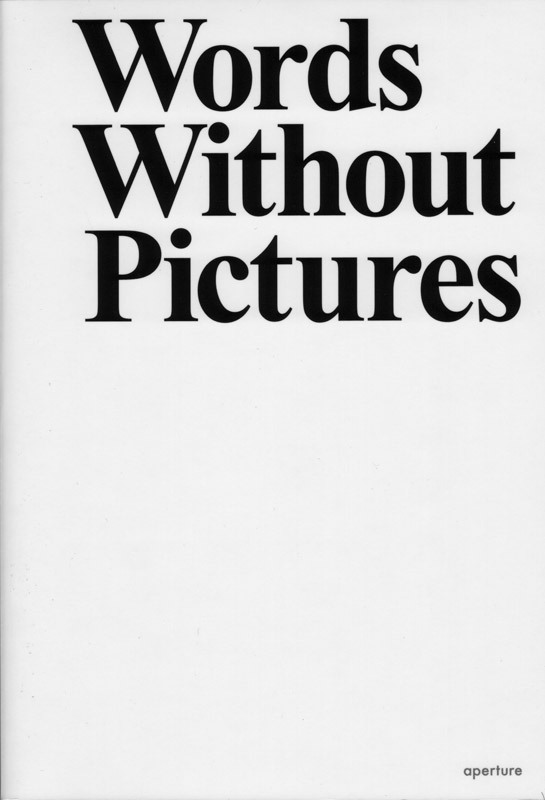 Previously issued as a print-on-demand title, we are pleased to present Words Without Pictures to the trade for the first time as part of the Aperture Ideas series.